While hedge fund billionaire Ken Griffin made the history books this week for purchasing the most expensive home ever sold in the U.S., dropping a whopping $238 million for a New York City penthouse, the lavish purchase is merely an addition to an already long list of extreme real estate properties. Over the past few years, he has set the most expensive home records for not only New York and the entire country but also in Chicago and Miami as well. Here’s a look at some of Griffin’s top real estate purchases in recent years. 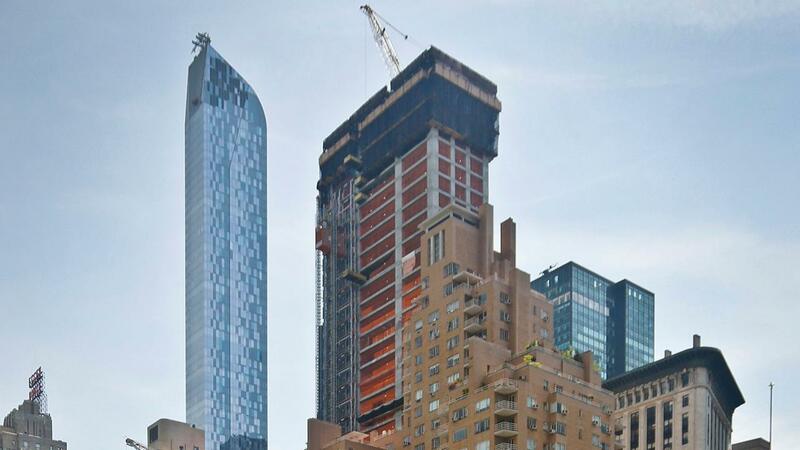 While the property is still under construction, Griffin reportedly bought a massive unit inside this Central Park South building, joining the likes of musician Sting and other billionaires, including Daniel Och. Earlier this month, Griffin reportedly spent $122 million for a newly renovated townhouse near Buckingham Palace. It, however, is not the most expensive home ever purchased in the U.K. In addition to his pricey U.K purchase, Griffin also set a new real estate record in Chicago earlier this month. Several local outlets reported that he bought the top four floors of the No. 9 Walton in the city for $58.5 million. That price tag squashes the city’s previous record of $18.5 million paid by “Star Wars” creator George Lucas and his wife for a condo. In 2015, Griffin made his first record-breaking purchase by nabbing up a $60 million condo and unit at Miami’s Faena House. A year later, he listed while for $73 million, according The Wall Street Journal, but ended up not selling them. In July, Griffin made local headlines by purchasing a Palm Beach home for $20.25 million but the purchase was just to top off his more than $200 million investment on surrounding land in the area. Griffin has reportedly spent more than $250 assembling land since late 2012 to build a home.